When it comes to secure document management, you have many choices. For example, you could place your company's brochures, product manuals, and other marketing materials in an online repository or for easy, centralized access by employees or customers. Likewise, online file sharing services like Dropbox make it easy to store and share documents, photos, and various works in progress. But what about documents that require the highest level of security? Those should go elsewhere: in a secure corporate document repository. Virtual data rooms have traditionally been used for transactions that require due diligence- M&A, fundraising, licensing deals, etc. More and more, we are seeing the virtual data room being used as a corporate document repository. Companies are choosing to store their documents, long term, creating an archive of the company's most-important data. This information will be items that, in many cases, will be required to be retained for legal reasons. A corporate document repository can be used to archive historical company documents such as financials, formulas, patents, and drawings. While preserving a snapshot of your company is an important mission that can be accomplished by a traditional filing cabinet, using a virtual data room to archive allows for both secure document storage and selective document sharing. As such, using a data room as a corporate document repository gives you the added advantage of always being prepared for due diligence- because who knows when opportunity knocks. -Regulatory documents, licenses, permits, inspections, audits, etc. Due to the sensitive nature of these documents, security is absolutely essential. 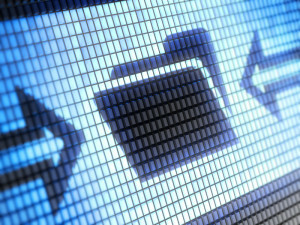 You'll need much more than a simple file-sharing app. Security features to look for include: 256-bit data encryption, SSL/TLS encryption, two-factor authentication included, ISO 27001-certified data centers, permission-based roles, audit logs, watermarking capabilities, view-only mode, disabled printing, and customizable non-disclosure agreements. Setting up a corporate document repository is a smart move for any company that needs the highest level of security, wants to maintain their company records online, and desires the added benefit of being able to quickly and securely share these documents, should the need arise. Using a virtual data room as your corporate document repository allows you to accomplish all of the above.